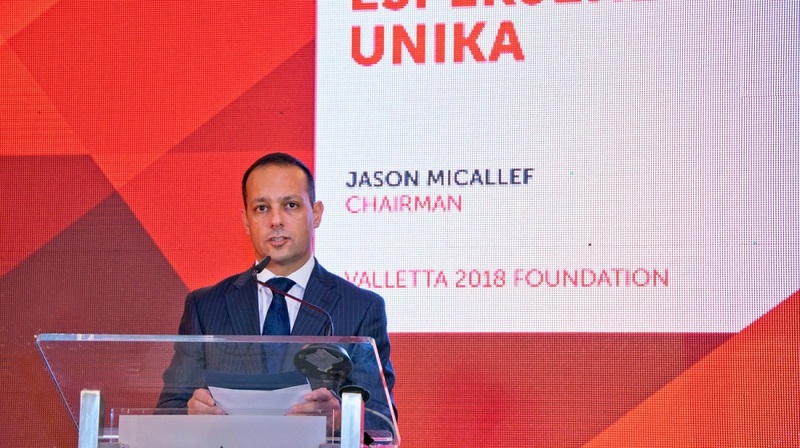 Valletta 2018 Foundation Chairman Jason Micallef said: “Valletta is indeed a unique city where change is visible. This can be felt in the cultural sector in relation to infrastructural investment and capacity building. Valletta is no longer dormant but is developing into a city where creative energy flows”. The Valletta 2018 Foundation has launched the next phase of its journey through a new corporate identity. This development enforces the shift from Valletta being a candidate city to one that is developing a strong Cultural Programme leading to 2018 and beyond. Valletta 2018 Foundation Executive Director Karsten Xuereb invited all participants to keep up the impetus for the journey ahead. The Cultural Programme is built around four themes: Generations, Routes, Cities and Islands, tying in communities as well as the local, Mediterranean and European contexts. In conjunction with the Cultural Programme, the Foundation is developing a programme of consistent, accessible and comparable research and evaluation directly linked to culture. The new Valletta 2018 visual representation defines an identity anchored in the uniqueness of the city, hence the tagline Belt Unika. The Valletta 2018 brandmark is inspired by the original architectural plans of Francesco Laparelli da Cortona (1521-1570) with rows of streets set perfectly at right angles to each other with its layered, terraced visual appearance. This brandmark acts as the basis for an identity grid system unique to Valletta 2018. The elements of the new brandmark are choreographed as if on a stage: a vibrant snapshot of an energised performance. The shapes are designed to suggest the dynamic and contemporary nature of the manifestation, while the letters are highlighting the unique and sharp shapes of the city’s planning and architecture. In line with the new brand identity, the Valletta 2018 website has been redesigned and is meant to facilitate communication between the Foundation and the general public.